Pioneers in the industry, we offer paper tube labeling machine and paper tube sticker labeling machine from India. With firm commitment to quality, we are offering a comprehensive range of Paper Tube Labeling Machines to our honorable patrons. The offered range of machines is manufactured by our expert professionals using premium quality raw material and cutting-edge technology. 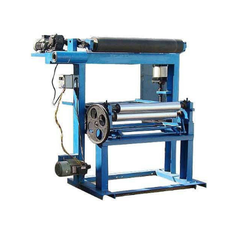 These machines are highly appreciated among the clients for their remarkable quality attributes such as easy operation, easy installation and energy efficiency. With the assistance of our trained and experts engineers, we develop an unrestricted assortment of Paper Tube Labeling Machine to our respected customers. The Manual Flat Bottle Labeling Machine offered are highly appropriated in varied packaging industries and also in different industries for labeling purposes. Along with this, these offered products are achievable at very pocket-friendly prices. 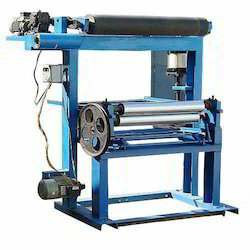 We are Leading Manufacturer of Paper Tube Sticker Labeling Machine. It can be used in labeling and cutting process at one time.